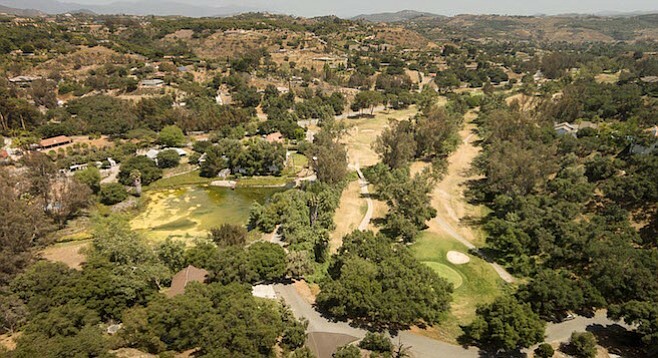 The Fallbrook Golf Course was a 56-year-old course saddled with considerable debt. It was owned and operated by an elderly man struggling to keep the business venture afloat. He closed and then reopened the golf course several times in 2016, likely as a means to preserve cash and reduce expenses. D-Day Capital purchased the loans on the golf course for $2.7 million in June, 2016. Mr. Richards manages D-Day Capital. A lifetime resident of Fallbrook stepped in and bought the golf course before Richards could foreclose on the property. Escrow closed November 15, 2016. The new owner planned to put the property into an agricultural land trust and likely plant grapes. The new owner has made it a point to keep the community informed of his plans as they move forward. He sponsored a contest to name the new winery. He made the dilapidated clubhouse available for a training exercise for local fire departments. While the golf course is gone, the land will be preserved as agricultural. Much of the space won’t be accessible to the public, as it will be a vineyard, but it won’t be streets and homes either. You will receive notifications for each new post. You should also subscribe to the mailing list.